WIX Filters, a global manufacturer of filtration products, is launching one of the world’s first smart air filter monitors, Senzit. Through smart technology, this device provides a new method of monitoring air filter status. Wix says Senzit will deliver a new level of connectivity across vehicle types and brands with a central portal to reduce downtime and repair costs. Senzit is the next generation in vehicle maintenance. Operators, mechanics and heavy-duty fleet managers no longer need to physically inspect an air filter to determine its condition, says the company. Senzit will monitor, in real-time, the air filter status for each individual piece of equipment to reduce unnecessary filter maintenance. With engine rebuild costs ranging into the tens-of-thousands, engine protection is on the forefront of most fleet manager’s concerns. For example, a mining company that was part of the Senzit trial previously experienced engine failure due to dust ingestion, costing nearly $20,000 to repair and resulting in one month of down equipment time. With the aid of real-time monitoring technology, companies like this one could avoid damaged filters that contribute to engine failure; with the Senzit mobile app and web portal, users can quickly view service needs of their entire fleet from a single portal. The device also tracks operating engine hours of each connected vehicle. For many fleets, engine hours are the most accurate way to dictate service intervals. With Senzit’s ability to measure and electronically report information, users will be able to better predict maintenance and turn unplanned downtime into planned downtime. In addition, Senzit also includes GPS technology to help users track their equipment, allowing them to view last known location, history of the equipment’s location and activities, and even aid in theft recovery situations. Senzit also goes beyond the air filter and makes any vehicle – even an older model – a connected vehicle. It mounts to the air filter housing to collect data and the cellular network to transmit the data to the cloud. With this flexibility to connect nearly any vehicle to the cloud, even the older vehicles can be monitored in real-time. Similar to an air filter housing in both texture and durability, Senzit’s hardware is produced using high-performance, injection-molded thermoplastic to house 10 sensors. The result is a product that is sturdy and reliable, yet sleek. This smart filter monitor is designed and field-tested to survive harsh environments. 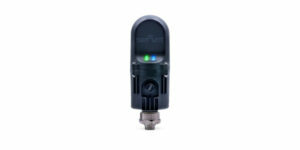 For more information on Senzit, visit the product page on wixfilters.com.